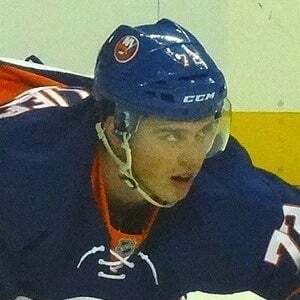 Forward who was drafted 28th overall in the 2015 NHL Draft by the New York Islanders. He played for the Canadian Junior National Team in 2015 and 2016. He first played professionally for the Shawinigan Cataractes in the QMJHL. He scored his first NHL goal in an October 2016 game against the San Jose Sharks. He posted a picture with his dad when he visited New York in November 2017. He's played alongside fellow Canadian John Tavares on the Islanders.